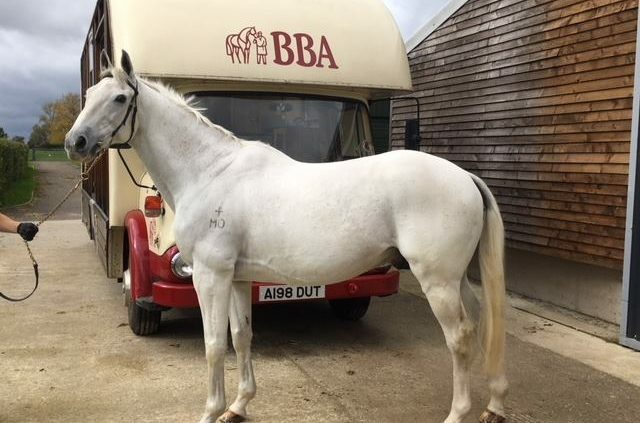 EIAF have had the pleasure of transporting many incredible horses over the years. 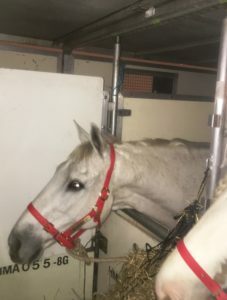 Sometimes for competition purposes, sometimes for relocation purposes and a lot of the time we’re simply returning a horse to it’s home. Sometimes they are young colts straight out of an auction ring, sometimes they are Mare in foal returning from breeding, sometimes they are Olympic horses representing the Australian Equestrian Team and sometimes they are International Eventing Champions who have competed at 1*, 2*, 3* and 4* level competitions around the world. On this occasion EIAF were graced with the presence of the well-known and highly respected “Algebra McLean-Glenn” on a flight from the UK to Australia. Algebra has spent the last 2 years with Australian Olympic Champion, Andrew Hoy at his Somersby Stables property in the UK, where together they have achieved major wins in two CCI3* events in Italy & France. Prior to that Algebra was ridden by Natalie Blundell. 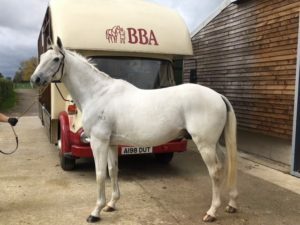 Together they both competed in a massive twenty-seven CCI/CIC 3* & six CCI4* events (over a number of years) finishing with a nomination in the TOP 8 Australian combinations for the 2014 World Equestrian Games. Having started his career as a 2 year old racehorse in outback Australia, Algebra really came to life when owners Julia McLean & John Glenn (of WOW Saddles Australia & Kiah Consulting) noticed his talent in eventing and teamed him up with Natalie Blundell more than 10 years ago. Since then Algebra has achieved much greatness representing Australia in numerous events across the globe. Always giving 100% and performing better than many horses half his age (now 16 years old), Algebra is a true champion! 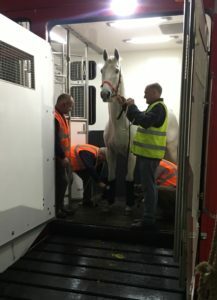 Prior to boarding his EIAF flight, Algebra completed his quarantine at the newly approved Australian PEQ facility ‘Black Horse Farm’ in Newmarket, UK. 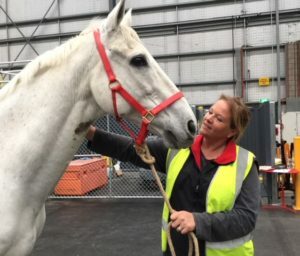 Algebra travelled well and was an absolute pleasure to care for on the long flight, which landed in Melbourne over the weekend, where he is now completing his post entry quarantine at the Mickleham facility. We look forward to seeing Algebra feature in the 2017 Melbourne Cup Parade before he returns home with owners Julia & John for some well-deserved down time. https://www.eiaf.com.au/wp-content/uploads/2017/10/AlgebraBBA1.jpg 480 640 Sonja https://www.eiaf.com.au/wp-content/uploads/2017/06/logo.png Sonja2017-10-23 18:07:312017-10-23 20:37:30Taking Algebra home!